Watsonville, CA— United Contractors (UCON) has announced Graniterock as one of the recipients to be awarded the 2012 UCON R.E.A.L. Safety Award; Recognizing Excellence, Awareness, and Leadership in safety. The winners were chosen within six different categories based on man-hours worked in 2012. The awards program is designed to recognize the safest UCON contractors in the industry and highlight companies who make safety a commitment in their organization. 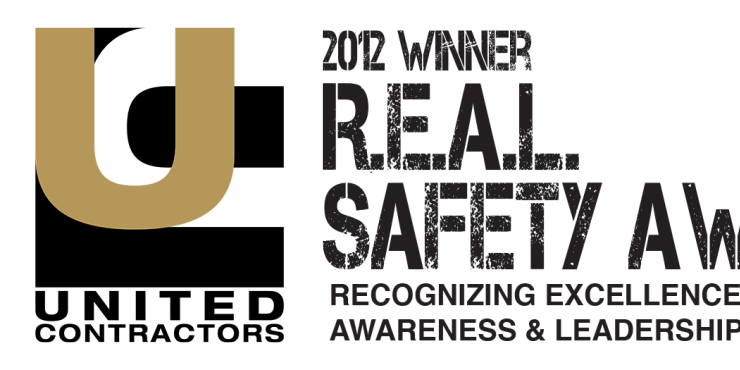 Graniterock dba Pavex Construction received the UCON R.E.A.L Safety Award under the category of "250,001-500,000 Man-Hours." The R.E.A.L. Safety Awards Ceremony will honor the award recipients on June 28, 2013 and they will be featured in the June issue of the UCON magazine. Graniterock has been headquartered in Watsonville, California, since its founding in 1900. The Company’s employees work in branch locations in South San Francisco, Redwood City, San Jose, Salinas, Monterey, Oakland, Watsonville, Felton, Cupertino, and Santa Cruz. Graniterock supplies construction materials including ready-mix concrete, hot mix asphalt, building materials, landscaping supplies, rock, sand and gravel. The Company’s Pavex Construction Division is a significant regional heavy engineering contractor building roadways, airports and private commercial and residential projects. Graniterock received the 1992 Malcolm Baldrige National Quality Award and the 1994 Governor’s Golden State Quality Award.